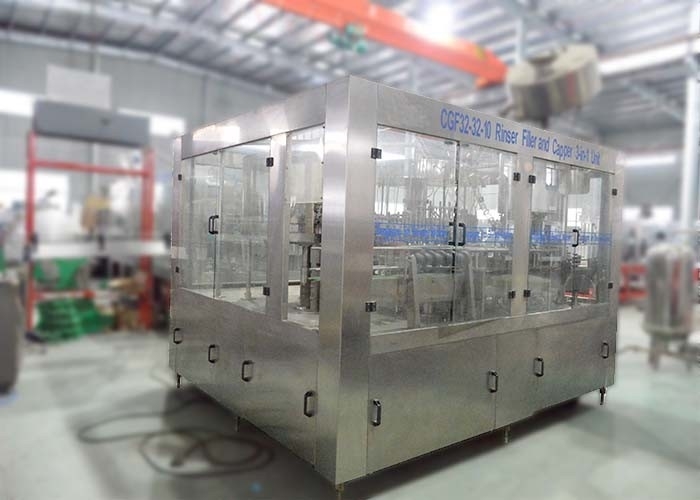 HG-CGF12-12-6 type Rinsing, filling and capping 3-in-1 machine is our new developed filling system combined with the international advanced technology of filling technology. It's suitable for pure liquid and mineral water with 5 litre and 20 litre. 2. 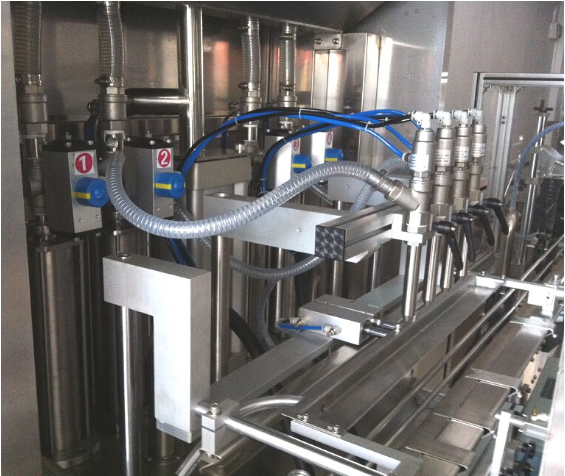 Bottle conveying system, in addition to star wheel bottle output system, the whole process use bottle neck clamping control system. The star wheel is made in 304 stainless steel bottle neck clamping star wheel. The bottle feeding is using wind delivery to ensure smooth and reliable delivery of empty bottles into the bottle star wheel. 3. 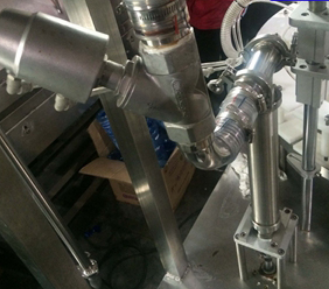 The bottle output wheel applies dropping structure so as to avoid the height adjustment of the bottle turning down device etc. after 3-in -1 machine. 4. There are 60pcs of clamping chucks for rinsing using snap-on type stainless steel bottle clip. The clamps do not touch the bottle above the threads part, The flushing nozzle is plum-shaped structure, all the bottom and the walls of the bottle can be washed cleanly. Bottle rinsing time ≥ 3 seconds, Draining time ≥ 3 seconds. After draining,the residual water in bottle should be no more than 4 to 5 drops. 5. 6 pcs of capping head. 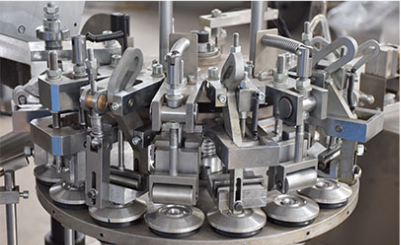 Capping machine France AROL technology, with overload protection, and capping torque is stable and reliable. Cover without eating cover, high cover, crooked cover, curling phenomenon. <1> What should I do if we are not able to operate the machine when we receive it? Operation manual and video demonstration sent along with the machine to give instructions. Besides, we have professional after-sale group to customer's site to solve any problems. <2> How could I get the spares on machines? We will send extra sets of spares and accessories (such as sensors, heating bars, gaskets, O rings, coding letters). Non-artificial damaged spares will be sent freely and shipping free during 18 months warranty. 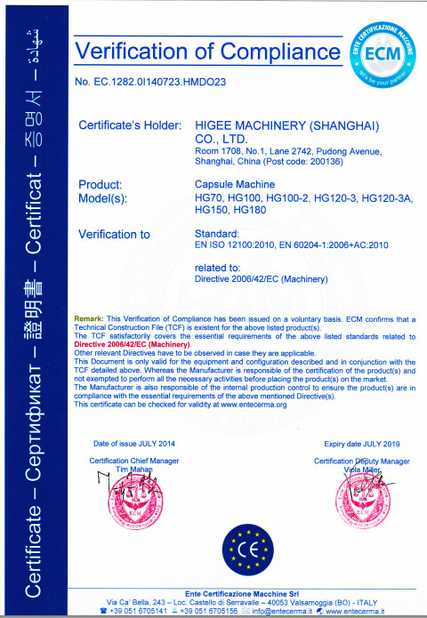 <3> How can I ensure that I get high-quality machine? 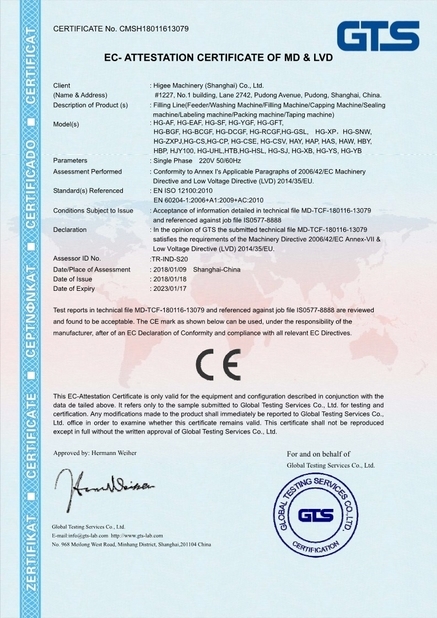 As a manufacturer, we have a strict supervision and control of every manufacturing step from raw materials purchasing, brands choosing to parts processing, assembling and testing. <4> Is there any insurance to guarantee I will get the right machine I pay for? We are an on-site check supplier, Trade Assurance provides quality protection, on-time shipment protection and 100% safe payment protection.